You can agree with me that the outdoors is never fun if you don’t have a cold drink or refreshments to recoup your energy. There’s no fun with friends if a cold beer or snacks are absent at your backyard in a hot summer afternoon. It is therefore only natural to think about backpack coolers, and two brands stand out among the rest. Among them are Yeti and Rtic. But who among them is better? Two brothers, Roy and Ryan Seiders discovered early on that the coolers were severely lacking in quality. They, therefore, founded the company Yeti, which henceforth produced high-quality backpack coolers to serve the needs of outdoor activity enthusiasts. That was in 2006 when Roy and Ryan started the company. In 2014, the brothers James and John Jacobsen started their own company that could effectively compete with Yeti. And since its inception, RTIC has gradually risen through the ranks to give Yeti a run for their money. The roto-moulded coolers from RTIC look similar to those of Yeti, but they maintain their market share through low pricing. As an outdoor person, it can sometimes prove difficult to determine which among the two brands Is the best. In the following Rtic vs Yeti cooler discussion, we attempt to lay out the facts so that it can be clear to you which among them is the better choice. Discussions that involve top quality brands such as the Rtic vs Yeti cooler are not always easy. The debate still rages on, but Rtic seems like it has some catching up to do. Given the different preferences and needs of various people, it is always difficult to choose them. However, Yeti backpack coolers are our topic based on a variety of aspects. They may be a little expensive, but the premium pricing maybe all worth it. Compared to RTIC, Yeti coolers are quite comfortable and easy to carry. They have wide shoulder straps, and the ergonomic design makes it more comfortable and convenient to carry on your back. Therefore, you can trek comfortably with up to 20 cans and food on your back. The quality of the materials in Yeti coolers is significantly better than what you get from RTIC. The material is UV resistant and punctures proof to make it ideal for the outdoors. And even though ice retention is a bit lower compared to its counterpart, it’s general performance is quite decent, and worth applause. Who will Benefit from Each of the Coolers? Yeti backpack cooler is among the most popular on the market, but it comes with a higher price-tag than the others. But what does its popularity ride on? Is a Yeti cooler worth it? Several factors make this backpack cooler one of the best on the market. Forget the price tag; the cooler has everything that you may want if you are going on an outdoor adventure with a couple of your friends. It is a good-looking backpack cooler that you and your friends can tag along, and head to the beach to have fun while enjoying the cool breeze. No doubt the aesthetics make it ideal for the outdoors. It is proportional, has sizable storage and is easy to carry. Therefore, if you are looking for something stylish and with sufficient storage, then this backpack cooler may as well be your thing. 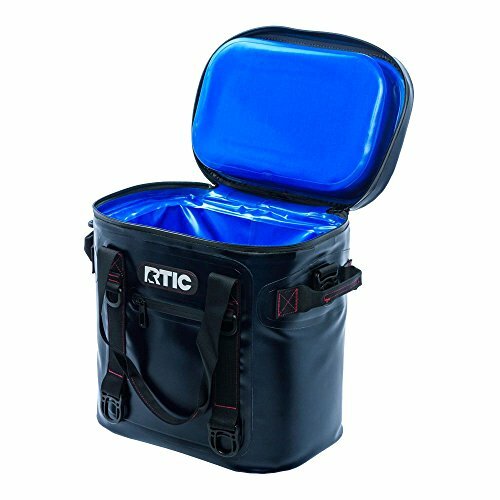 The Rtic backpack cooler is the perfect blend of affordability and quality. The backpack cooler can store ice for up to five days. It’s 2 inches of foam insulation makes this possible, and it is therefore ideal for camping. It is not always easy to find a quality backpack cooler that can last for around five days and isn’t too expensive. However, Rtic cooler backpack has the perfect insulation to go for longer, so that you can enjoy the outdoors. The backpack design makes it portable, and you can take it with you on your next hike to the mountains. Therefore, it is the perfect product for people that are going to an outdoor event, and they want something that will last a little bit longer than the other cheaper cooler backpacks on the market. One of the essential features on cooler backpacks is their portability. The straps they come with makes it possible to carry the cooler packs around easily. However, their portability is not all the same. Some are more portable than others. So, which are the features that determine the portability of a Cooler backpack? And which among the two top products scores high points when it comes to portability? 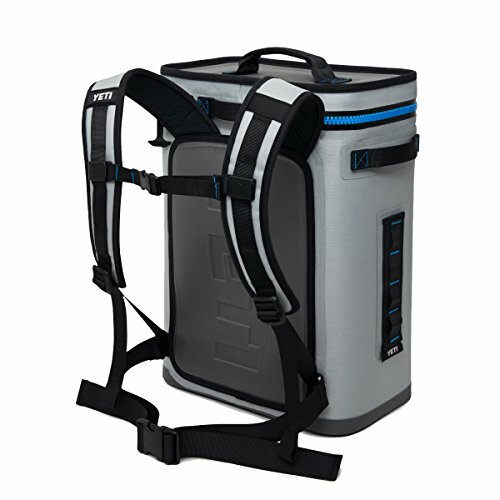 Yeti backpack cooler is everything that a portable backpack cooler should be. It is sturdy and comes with strong and broad straps that may feel comfortable on your shoulders. You may not feel the typical cutting feeling that other backpack coolers with inefficient straps may have. It also has an ergonomic design that makes portability a possibility. The cooler is comfortable on your back compared to its counterpart. Therefore, portability is one of the critical points that carry some significant weight in the Rtic vs Yeti cooler debate, and Yeti scores some good points. Unlike its counterpart, RTIC Soft Pack 20 is not the best to carry at your back. The design seems more appropriate for one shoulder carry, and that means you will not carry it a long distance. You can toss it in the car and go to a football game for a picnic outing, but it is not something I would consider for hiking. The backpack may be a little difficult to carry for long distances Into the Woods, or more specifically away from civilisation characterised by good roads and the like. The shoulder straps do not have sufficient padding, and may not be the most appropriate for carrying a heavy load. They will feel uncomfortable. Furthermore, the shape of the backpack cooler may not be the most ergonomic. And considering that he will be carrying the bag with your back, the form does not motivate you to go the extra distance. The primary objective of getting a backpack cooler is to make it easy to carry your drinks and food to wherever outdoor activity you may be interested in. Backpack coolers allow you to take your favourite beverages and snacks do a variety of outdoor activities such as fishing or even camping and make it enjoyable. It is so much fun to watch the sun go down with a couple of your friends and taking some cool refreshing drinks. However, that will not be possible if the backpack cooler cannot take the rugged environment and the stress of carrying it around. It is therefore critical that the backpack cooler has a sturdy design. It is the bare minimum. There’s no question of durability and study design when it comes to discussing the Yeti cooler bag. There’s a good reason why it is one of the favourites of many outdoorsy people. It is sturdy and will last a long time, and so will be the hallmark of many years of having so much fun outdoors. The high-density fabric on Yeti cooler is mildew resistant and waterproof. It is the perfect product for outdoor use. In most cases, mould and fungi tend to make wet surfaces their home, and a backpack cooler without sufficient protection would be ideal for these micro-organisms. The fabric is also strong enough to resist UV rays and punctures that are so common outdoors. The liner material is food grade, and FDA approved. 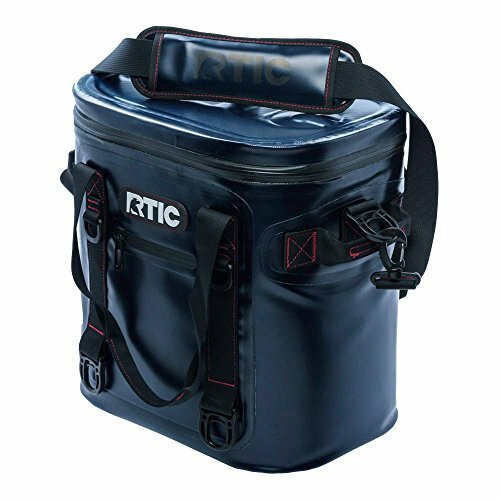 The design of Rtic cooler backpack is significantly similar to that of Yeti, and it has been subjecting of a dispute and the lawsuit regarding patent infringement. But looking beyond the dispute, you have to admit that the durability of the cooler is not so bad, and can match that of its counterpart. That is considering it is the same design and materials. The exterior is sturdy and does not sweat like some of its peers on the market. It is therefore comfortable and does not make the other equipment wet. Sweating backpack coolers can make it difficult for you to enjoy the trek. You will find that material of this backpack cooler is durable and rip-proof. You do not have to deal with a poor quality fabric that cannot handle the outdoor environment. The walls, lids and hinges are top quality and designed to manage the outdoor environment efficiently and effectively. The plastic covering on this backpack cooler is possibly UV resistant, and the larger handles are durable. And as such, the question of poor quality backpack cooler does not apply here. However, the rope handles in Yeti backpack cooler feel more durable than its counterpart. The handle is actually a durable rubber, and you can feel some level of comfort when holding it. In its part, the handles on RTIC are foam material, and even though it is comfortable to hold, it deteriorates faster over time. It is also important to note that many RTIC customers have received their coolers with blemishes and scratches. This can mostly be as a result of careless handling during shipping. And while this is cosmetic, it is always good to keep that in mind. Both coolers are designed in the United States but manufactured in China. However, that does not mean anything in terms of quality. The cold cell insulation is superior, and it offers top-notch service for consistency, and to make your outdoor fun. Apart from the primary insulating material, the quality of the zipper is another aspect that determines insulation, and how long the backpack cooler can keep the ice from melting. Yeti backpack cooler has a hydro-lock zipper which is durable and leak-proof. In some of the backpack coolers on the market, the zipper is always the weakest point. It is usually the first to go, and quickly let in warm air and moisture. Similarly, RTIC Soft Pack 20 features top quality insulation that can keep everything chilled for up to five days. The backpack cooler has 2-inch foam insulation to keep away the unwanted variables from the weather. It is therefore efficient, and reliable. The zipper of the RTIC backpack cooler is durable and leak proof. It is easy to use and will not give you trouble when you want some cold drinks at the beach. The storytelling never has to stop just because the zipper would not budge. But more importantly, the zipper contributes to the insulation of the whole backpack cooler. It is a poor conductor and will not compromise the perfect internal environment in the cooler. In a head-to-head comparison, the insulation rubber in RTIC is a little less quality compared to that rubber in Yeti. It may not be noticeable to some people, but it is one of the leverages to ensure the park is quite affordable. Also, the rid rubber gasket in RTIC is thinner than what you find in Yeti backpack cooler. You will want to consider the capacity of the backpack cooler before you can go all out to purchase it. In the comparison between Yeti and RTIC, the capacity of the coolers varies to a certain level. Both of them are sufficient depending on your needs, and of course, preferences. The inside measurement of the Yeti backpack cooler is 12 5/8 x 6 ½ x 15, and can easily hold up to 20 cans of your favourite drink. The ice to can ratio is 2 to 1, and therefore you can imagine how perfect it is for you. Similarly, RTIC has good space that can hold up to 20 cans. Therefore, this is one factor that RTIC keeps pace with its superior counterpart. But it may not be 100% perfect. And even though both Yeti and RTIC can hold up to 20 cans of your favourite drink, RTIC seems to have larger dimensions. Mostly, the larger dimensions may be as a result of the insulation as well as the plastic being thicker than what you have in Yeti backpack cooler. The thickness will add some weight, and that may affect its portability to a certain level. It may not change the capacity of the backpack cooler but may determine how many cans or foodstuff that you carry. In other words, you may bring fewer cans and food to make it easier to bear. The period at which each backpack cooler maintains the ice determines its efficiency. There’s no question that Yeti and RTIC are quite useful in ice retention. However, RTIC has the edge over his counterpart in ice retention. As mentioned earlier, RTIC has thicker insulation, and that contributes its effectiveness in ice retention. Please note that the difference is not that significant. But you can agree with me that it is quite exceptional to acquire a backpack cooler at half the price and still enjoy top quality ice retention. Many people that have tried both of them may notice the slight difference, and if you’re making your choice based on Ice retention, then your choice may be easier than you think. RTIC comes out on top in that regard. It is quite interesting that it does a better job at half the price. Yeti backpack coolers are so damn expensive, but its popularity does not wane. Maybe it’s marketing, but you have to admit that they are a favourite of many. 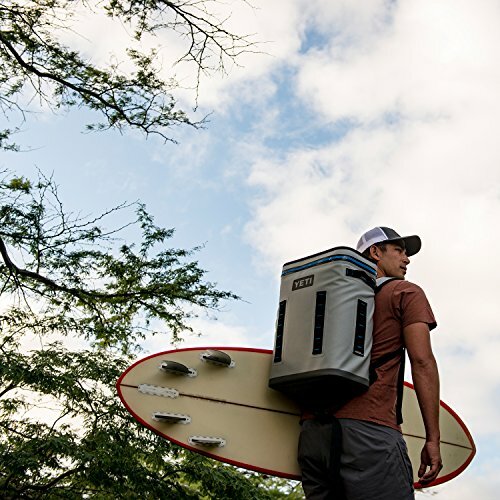 According to science, first impressions are most lasting, and the Impressions that you get from Yeti backpack cooler, are nothing short of impressive. Everyone wants to be on the popular and winning side. Yeti enjoy a decent level of goodwill, acquired for being the first to develop roto-moulded coolers that were significantly efficient, and that still rubs on them. As mentioned above, the ice retention capability of Yeti backpack coolers may be a little less than what you get with RTIC. However, Yeti wins on many fronts that include portability, the quality of the materials, and insulation. The Warranty period is an important aspect that you need to consider before you can purchase any products such as a backpack cooler. Both Yeti and RTIC have good warranty terms, but they are not similar. RTIC comes with a 12-month warranty, and there has not been any issue of not honouring it. The company does not have any problem replacing the backpack cooler if you notice there is a warranty issue. And while RTIC has a good one year warranty which they have no problem in honouring, Yeti beat them hands down in that aspect. Yeti backpack coolers come with up to three years’ warranty, which is three times longer than what RTIC offer. The premium pricing that you get from Yeti backpack coolers may, after all, be worth it. Some customers have reported issues with RTIC backpack coolers, months after the expiry of the Warranty period. However, it has been unfortunate for them as the company cannot honour it If it is outside the Warranty period. The three years warranty that Yeti backpack coolers come with is quite sufficient. That gives you peace of mind when using the product, and you somehow get your money’s worth. Choosing the best backpack cooler is not always as easy as it sounds. There are various factors to consider, and among them is Ice retention, portability and durability. Ice retention comes in handy if you’re going away to have some outdoor fun for a few days. It would not be ideal in any way if the ice retention capability were in question. 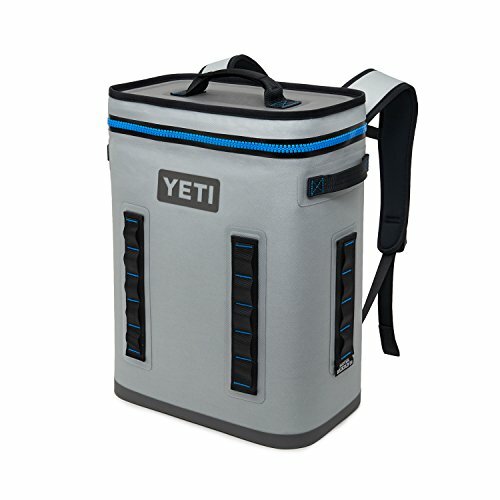 In the Rtic vs Yeti cooler debate, Yeti backpack coolers come out the winners in a variety of factors, but they lose when it comes to ice retention. The difference between RTIC and Yeti backpack coolers will not be noticeable to some people, but it is there. In terms of portability, Yeti backpack coolers emerge as the winners. The Yeti backpack cooler is easy to carry and comes with comfortable straps that will not hurt your shoulders as you manage that last hike in the mountains. In contrast, portability is not a strong point with RTIC backpack coolers. As mentioned in the above Rtic cooler review, the backpack cooler has a thick insulating material that eventually adds some weight to the backpack. The design is not what we can refer to as ergonomic. It reduces its portability to a certain level, and as such, the backpack cooler is not something that you can carry long distances. Another crucial area is durability, and Yeti backpack coolers do not perform so poorly in that aspect. They are better than their counterparts, and the material is strong enough to handle the outdoors comfortably. That is obviously the minimum you would expect from backpack coolers. And even though it may not matter to some people, the Yeti backpack coolers have an attractive design and therefore presentable. They are perfect for the outdoors, and the coolers seem stylish. The above Rtic vs Yeti cooler review lays everything on the table, and you may not agree with our choice, and it is quite okay.